THE ROYAL GUNPOWDER FACTORIES. A Link. 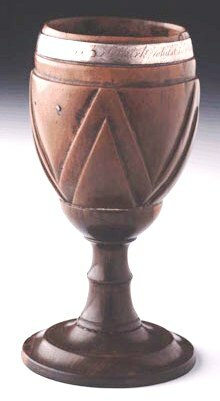 Alexander Selkirk aka Robinson Crusoe's Drinking Cup. deep, by two and a half inches diameter. 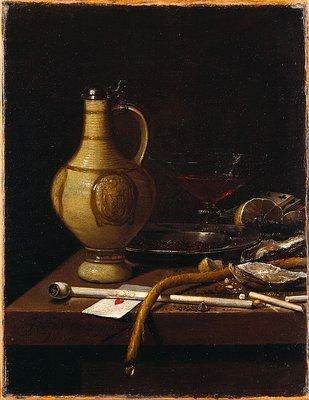 whilst in Juan Fernandez, 1704-9. 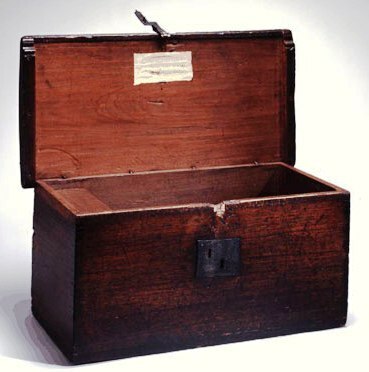 This wooden sea-chest (pictured here closed) was used by Alexander Selkirk during his solitary stay on the island of Juan Fernandez in the Pacific Ocean from 1704-9. 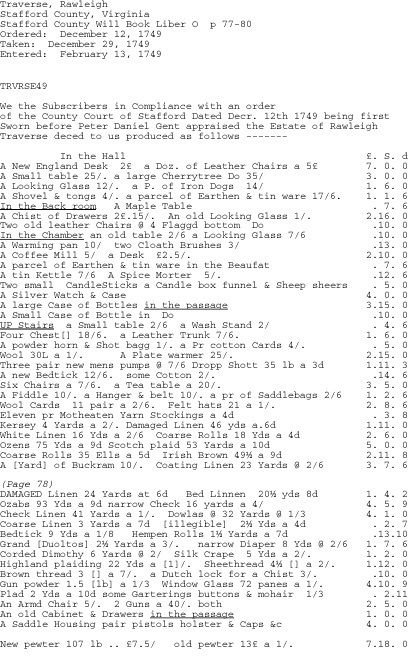 Born in Largo in Fife, Selkirk was the inspiration for Daniel Defoe's 'Robinson Crusoe'. 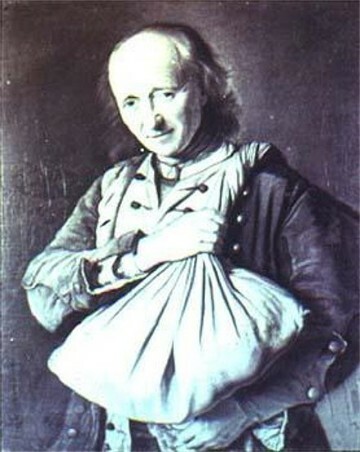 In 1704, after a quarrel with his captain, Selkirk asked to be put ashore on the uninhabited island of Juan Fernandez, 800 miles off the coast of Chile. 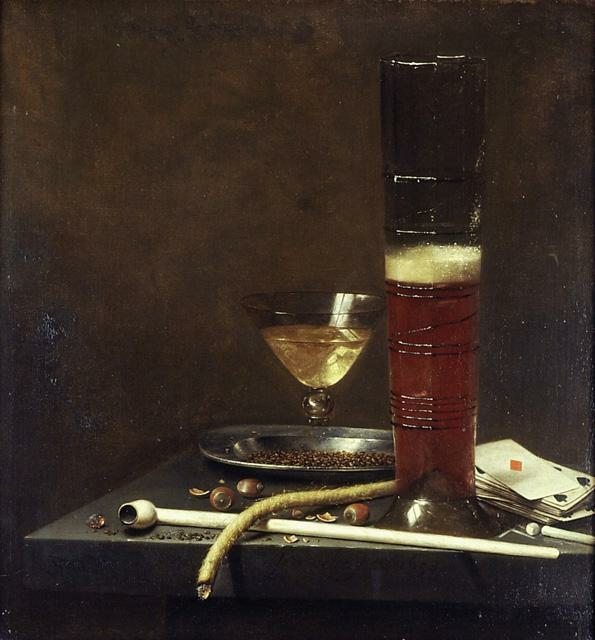 In 1713, four years after his rescue, his experiences were published, giving Defoe his inspiration. My sincere thanks to Jenny Baker for bringing this to my attention. Met an Old Friend in the Forest. I assume the "crosier" mentioned above came from the design of the Old English steel as below. 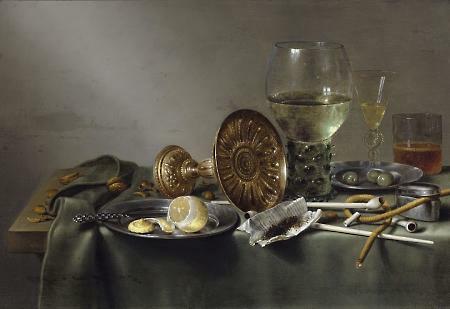 Four 17th century paintings, each displaying a match cord used for lighting a pipe. 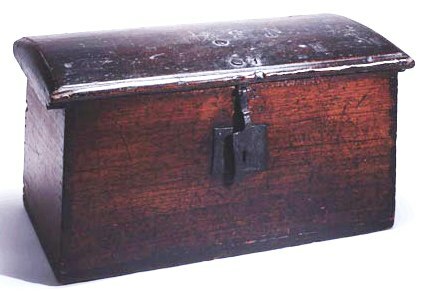 The 18th Century Grenadier's Match Case. 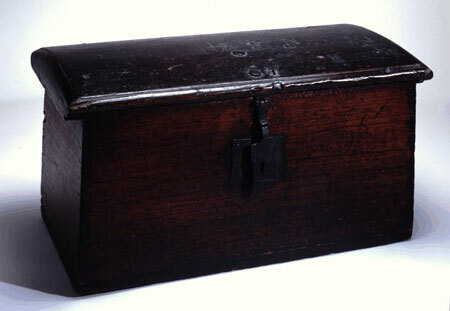 A brass grenadier's match case was found in the northwest corner of the west casemate (Level II) (fig. 47). This is a perforated cylinder with reinforcing bands around the top and bottom. There is a perforated cone in one end. The whole case is 7 inches long and 1 inch in diameter. 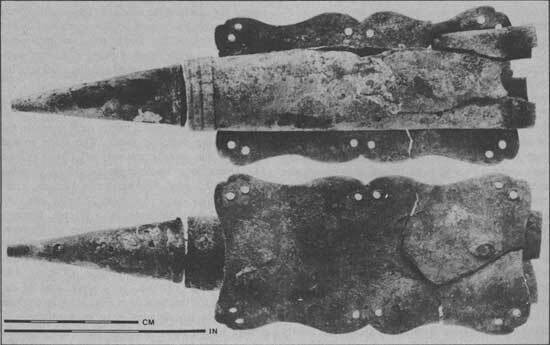 It was held by two rivets to a brass plate 4.2 by 2.1 inches in size which was sewn to a belt. It was designed to carry a slow match for igniting incendiaries, such as grenades. The slow match and pull ring were not found. A similar specimen is illustrated by Darling (1970, p. 1). It was probably a relic of the British occupation. 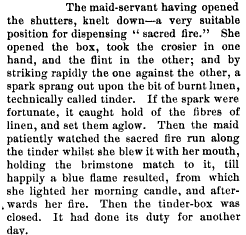 The match cord was lit from smouldering tinder in the tinderbox, then kept safe in this match case. Seeing as our annual Masquerade Party is on the 23rd June I thought I would post some masks for attendees to think about. Probably the easiest to make would be these black leather masks, depending on where your skills lay. Something with a bit more style. 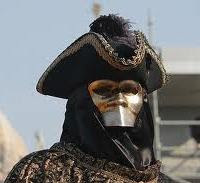 The carnival of Venice has gotten more and more popular over the past twenty years. 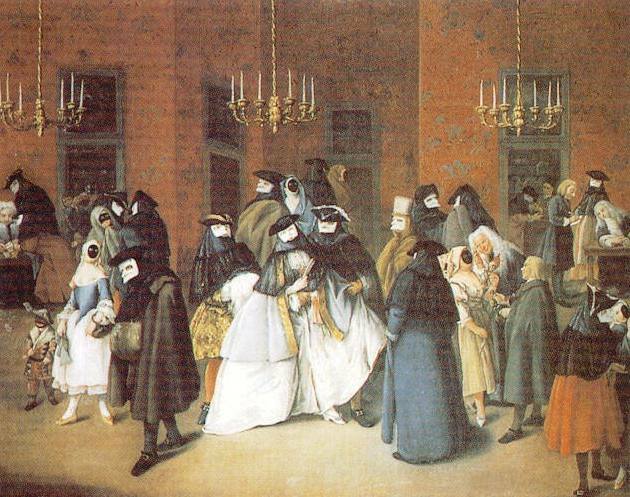 Still, the usage of masks in the city served a different purpose in history, especially in the 18th century. 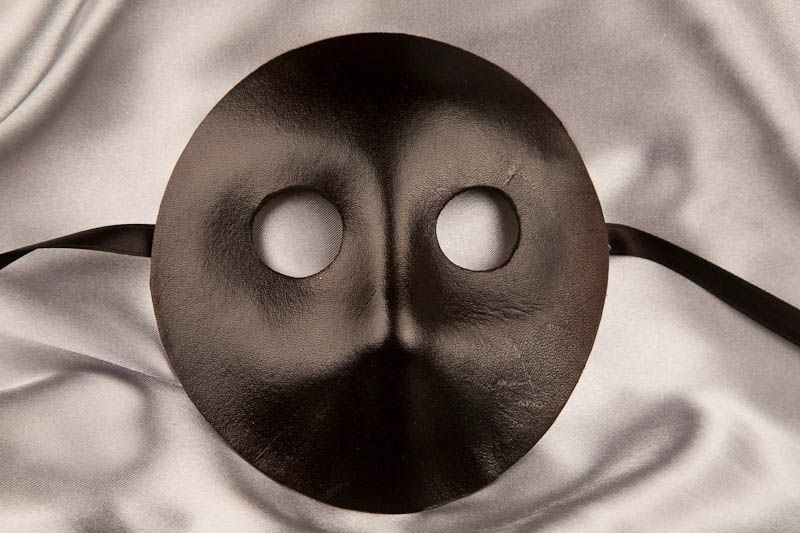 In Venice, masks were used in everyday life as a way to remain incognito, and to transgress social classes. 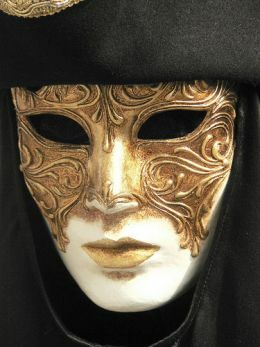 The Venetian society, which was very fond of intrigues of all sorts, found in masks a very convenient way to remain discrete in all situations. 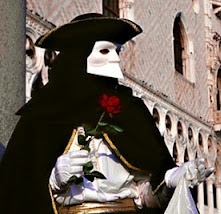 And, oddly enough, masked parades such as carnivals were relatively rare in Venice. The hood made of black silk, which was worn by men, is called bauta. It is completed by a piece of lace which hides the bottom of the face and goes down to the waist. 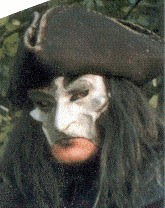 It was traditionally accompanied with a tabaro (a coat, usually black or grey, scarlet for the noble), a tricorn, and a larva (a white semi mask). 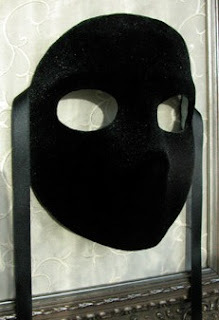 Women would usually wear a moretta, which is a black velvet mask. 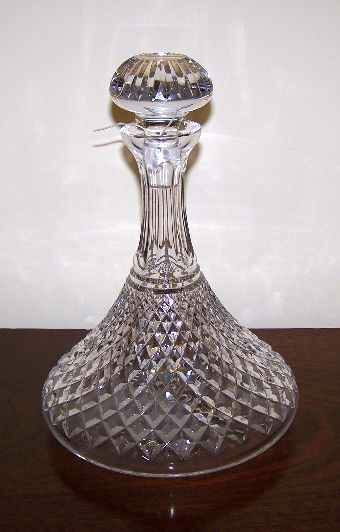 An 18th Century Ship's Decanter-Timbertown Port NSW. Recently my youngest son and my Daughter-in-law bought me a bottle of port for my Birthday. The bottle looked very familier, so I did a search. 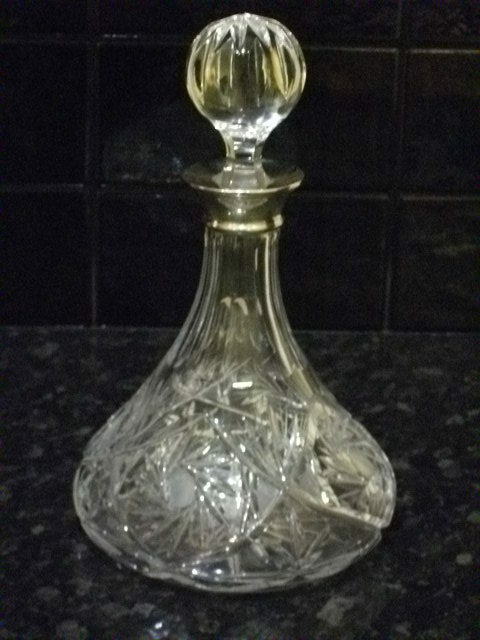 This bottle is very representative of an 18th century ship's decanter. 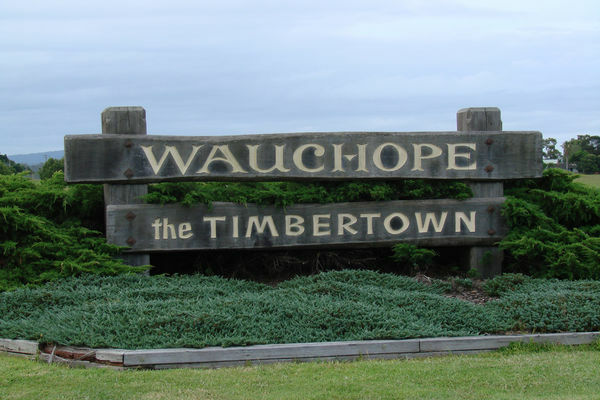 They purchased this port from Timbertown here in NSW, it is about 3 hours drive away. 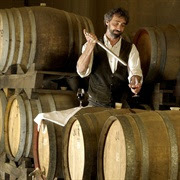 Timbertown is a 19th century theme village, & they make their own wines. The top is sealed with a cork and a wax seal. Reading Glass Fire Lighting & The Hudson Bay Tobacco Tin. Making fire with a burning glass or reading glass is easy when using tinder. Plant tinders don't even have to be charred first. But using the Hudson Bay tobacco tin as a tinderbox because it has a burning glass in the lid is not recommended, not by me anyway. 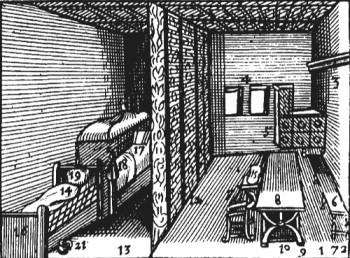 The tinderbox is used to prepare plant tinders. Tinder material is charred directly in the fire & then placed in the tinderbox to smother it. When you want to make fire you simply strike sparks into the tinderbox, hold some dry grass kindling against the smouldering tinder & blow into flame. If you do this with the Hudson Bay tobacco tin, you will smoke up the burning glass in the lid, & in winter it may crack from the heat of the smouldering tinder. Better I think to carry a seperate reading glass or use specticles if you wear them. The Hudson Bay Tobacco Tin. Author's reading glass and case. 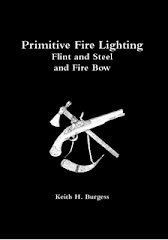 Author's tinderbox with tinder and a musket flint. 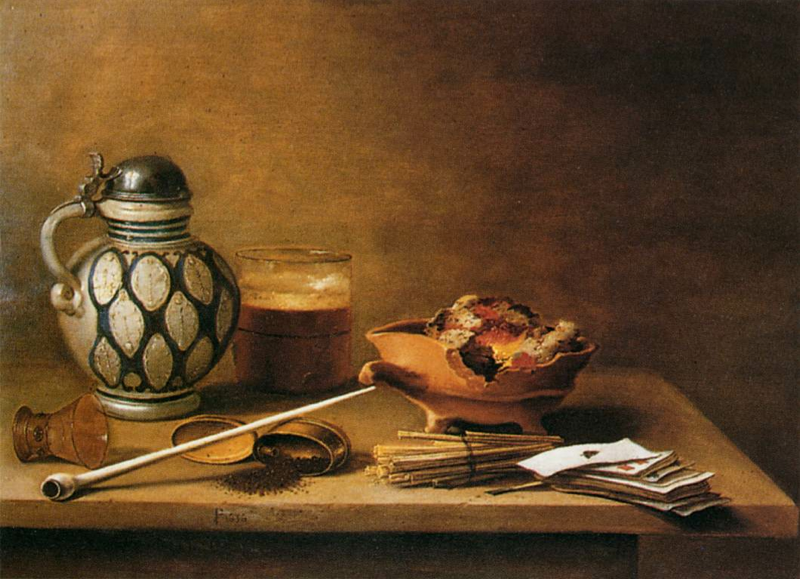 A Bit on Tea in the 18th Century-A Link. 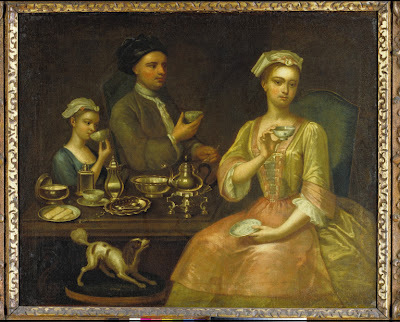 Richard Collins, A Family of Three at Tea, 1727. 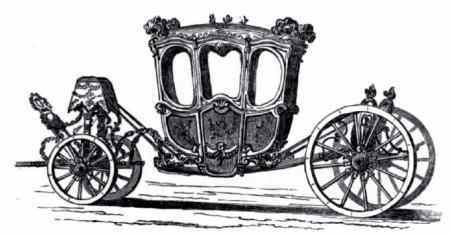 The Nécessaire (Part One – in the 18th Century) A Link. 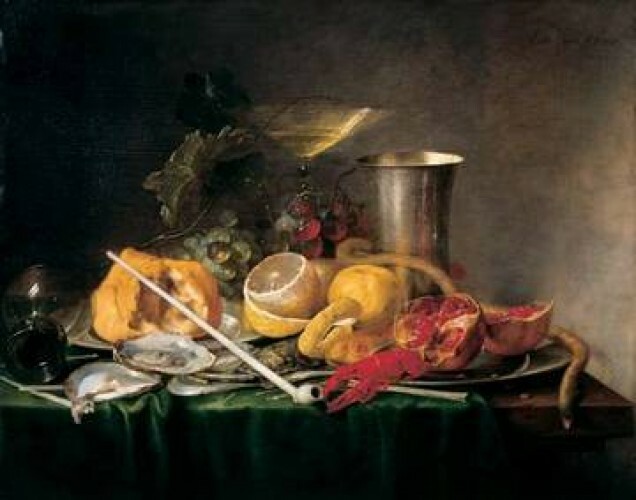 Restoration life and Foods Part 2. 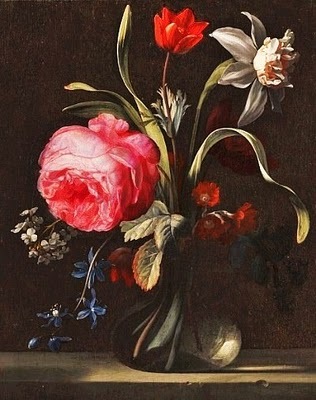 But by accident he did direct us to a painter that was then in the house with him, a Dutchman, newly come over, one Evarelst, who took us to his lodging close by, and did shew us a little flower-pot of his doing, the finest thing that ever, I think, I saw in my life; the drops of dew hanging on the leaves, so as I was forced, again and again, to put my finger to it, to feel whether my eyes were deceived or no. He do ask 70l. for it: I had the vanity to bid him 20l. 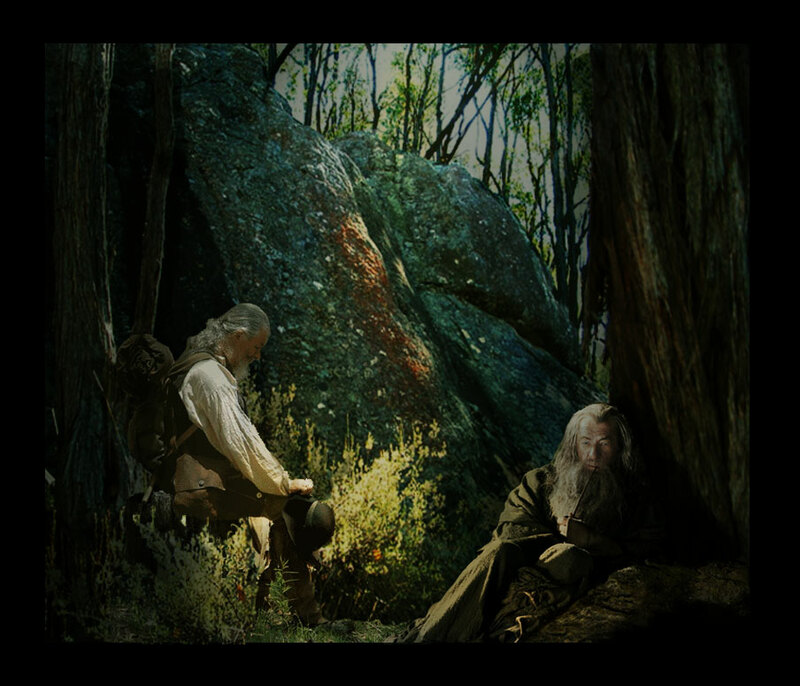 ; but a better picture I never saw in my whole life; and it is worth going twenty miles to see it. 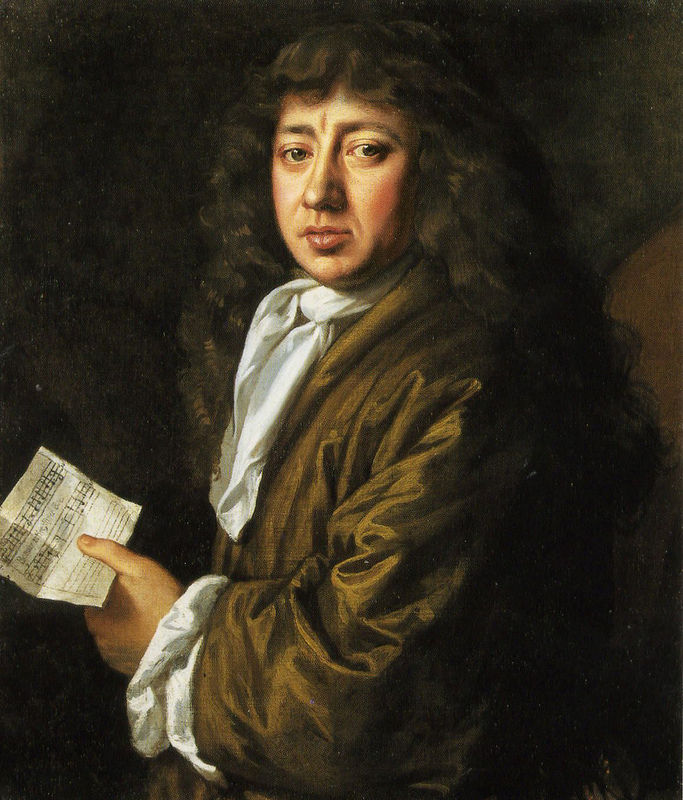 Samuel Pepys April 11th 1669. 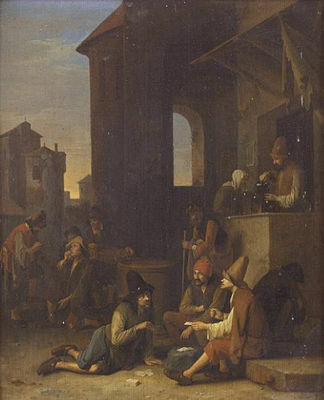 Making A Crow in the 17th Century. Tiled Stoves for Winter Warmth. A Link. 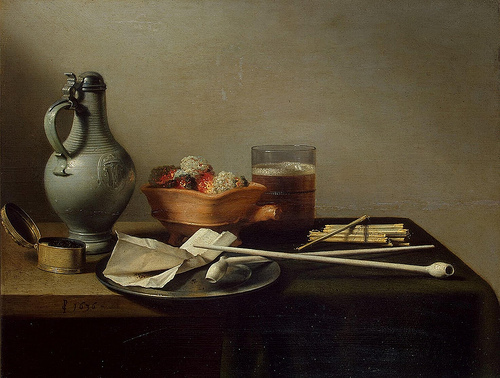 18th Century Day with the Wallace Collection in England. Some of you may remember my posts on the market wallet. 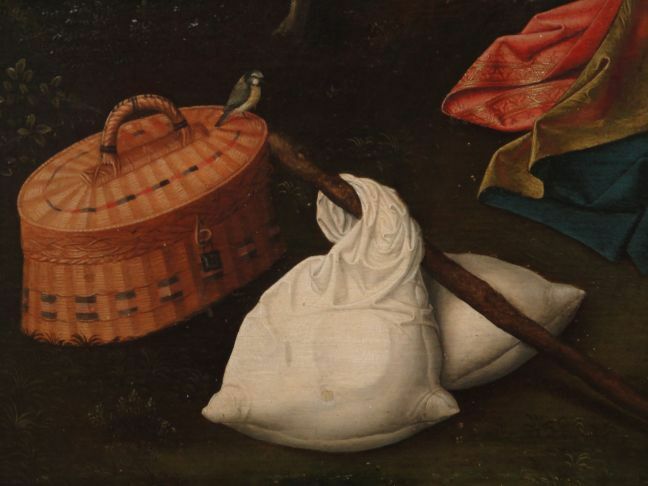 Normally I do not use the market wallet, but today I thought of a way of using it in combination with my knapsack to save carrying too much weight in my scrip. I like to use the scrip (later called a haversack) for foraging, and on a long trip perhaps to carry an extra bottle of water, but I would rather not start a trek by carrying extra weight in a shoulder carry bag. 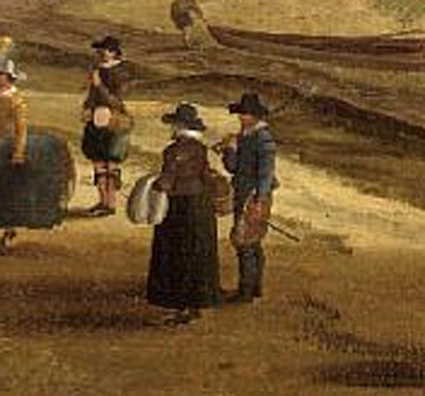 Or over the arm as this lady is doing at the Thames in Richmond in this 17th century painting. This is my pack as I normally carry it. This shows my pack with the new addition of the market wallet, secured under the flap of my knapsack along with my oilcloth. I have trail food in one side, and rum, snares, cordage etc in the other side. It has been 3 months since my operation for a complete hip replacement, and I have progressed to uphill walks to the top of Dragon's Tol and beyond. Today I thought I should start carrying a bit of weight, so I took this pack for a trial walk. It worked well, carried comfortably and well ballanced. I am very pleased with the outcome. NEMAS in the pine forest in Armidale NSW Australia. Field Stripped Brace, By The Frontier Carpenter. 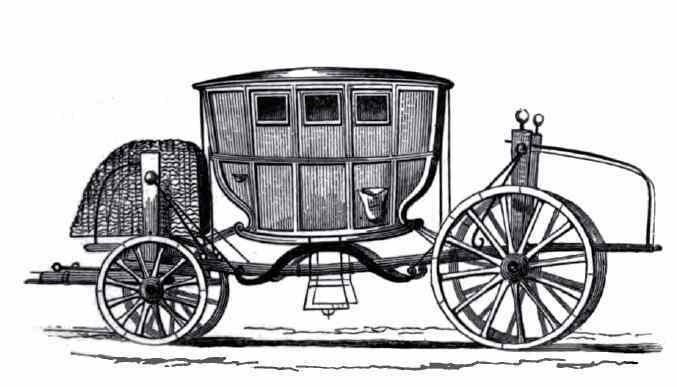 18th Century Bannock or Bannoch. Stalking The Wild Duck, 18th Century Style. Living History Work For The Dole. Special Book Sale Promotion By LuLu.